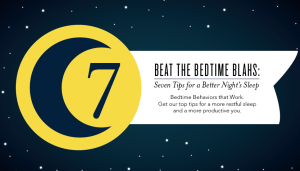 Beat the Bedtime Blahs: Seven Tips for a Better Night’s Sleep – Livingoily4life! Try diffusing Lavender, Stress Away™, or your favorite blend of essential oils with comforting aromas as you prepare for bed. Rubbing a couple drops between your palms and brushing them over your pillow can also boost the relaxing aromas and can make jumping into a cloud of pillows and blankets feel extra luxurious. The first person who messages me where they have found this prize will receive a free 5 mL bottle of lavender essential oil. Thanks. You’re right about getting up in the middle of the night, I do all of the time! I have to work on the list thing. I keep it all swirling around my head and I’m sure I forget half of it.